Tribal Tattoos Art is a huge database containing the greatest tribal tattoos ever. 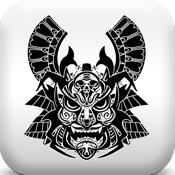 You've discovered the best app for tribal tattoos... everything from beautiful rose tattoo, amazing dragon tattoos, angel tattoos and so much more. Browse our vast tattoo gallery and enjoy your journey.